While a new house and car are considered the biggest investments you’ll make in life, they’re not necessarily the biggest reasons behind your money problems. In a world of instant gratification, it’s the little things that can send us spiralling into debt without us even realizing it. As the smartphone has made it even easier to waste our money with just the swipe of a finger, it’s more important now than ever before to focus your time and effort on keeping your cash safe. Keep reading to find out simple tricks that can have a big impact on your finances. Avoid Starbucks — Or Dunkin Donuts or McCafe or wherever else you get your coffee to go. That $5 latte you get before work every morning really adds up over the months, costing you as much as $1,825 a year if you buy it every day. Start bringing coffee from home to work or take advantage of the free beverages offered in your office. Quit the Gym — Every year, Americans are spending a collective $21.8 billion dollars on gyms and health clubs. Unfortunately, according to a survey published by Statistic Brain, only about 67% of those with memberships actually use them. Each month costs the average American $53, which is over $600 a year that you could be spending more wisely. If you can’t remember the last time you worked out, it’s time to cut your losses. You won’t have a body like Gisele Bundchen or Cristiano Ronaldo, but you will have extra money in your pocket. Use AirBnB — If you own your house or condo, renting out a room through AirBnB can help supplement your income without a lot of effort on your part. You can put individual rooms or whole floors of your home on the app, picking and choosing those travellers you want to invite into your space. AirBnB makes it mandatory for all users to register and create a profile where other users can leave reviews, so you’re never left wondering about the type of person staying with you. Embrace your inner couponer — Using coupons isn’t just for your grandma anymore. The life of the couponer has gone digital, making it easier to stay on top of the latest deals on groceries, clothing, housewares, and more at all your favorite stores. 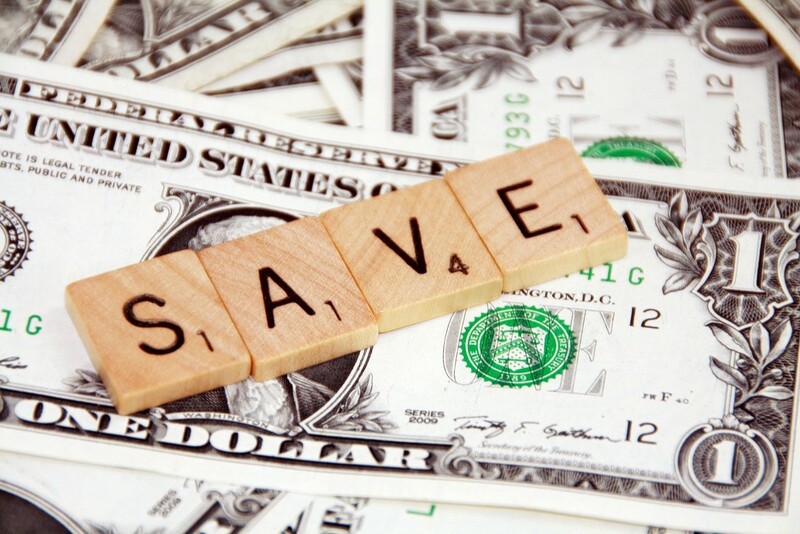 You can use apps like The Coupon App, Cellfire, and Saving Star to find some extra savings on purchases you have to make. Get help from the right source — When too many bills and repairs come your way, your previously secure budget can flounder. If you don’t have enough savings squirreled away to cover these surprise expenses, small dollar loans from lenders like MoneyKey can help you take care of your newfound responsibilities. Their short-term loans are a simple, quick, and convenient way to supplement your paycheck for non-recurring purchases. All you have to do to visit MoneyKey to learn more about what you need to apply. Read up on finances — Knowledge is power. Taking the time to read up on personal finances can help you make frugal decisions about your savings and investments. Avoid buying these books by going to your local library and taking out the titles you need. Your librarian is also a great resource if you aren’t sure where to start. Sleep on purchases — For some people, the Secret of Mana reboot or brand new Yeezys is akin to a siren’s call. It can seem like the temptation is too great to resist, especially when you can snag your spoils with a few swipes on your smartphone. Our suggestion is to give everything at least 48 hours. Chances are once you’ve slept on it and considered the true cost of these items, you’ll be less inclined to buy them. Try DIY — A lot of the things we buy have a cheaper, down-home alternative as long as you’re willing to make them yourself. Take, for example, makeup and beauty treatments. An eye shadow here and a lip stain there can add up. Luckily there are a variety of cheap DIY solutions available online, letting you pamper yourself without breaking the bank. Though simple, these little tweaks to your everyday habits can have a powerful impact on the health of your finances. Try out these suggestions, and brainstorm a few on your own. You’ll be saving money before you know it.